Irwin Sinclair. 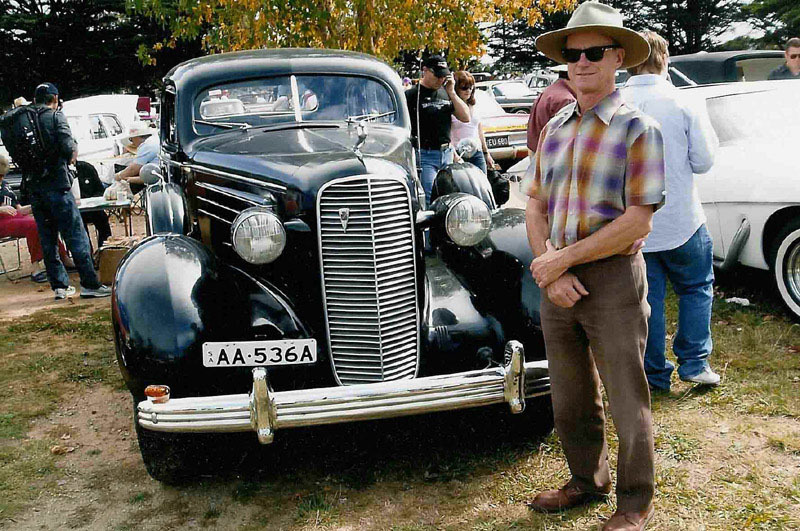 My then workmate in 1988, Irwin invited me to a Cadillac weekend even in Ararat. After acceptance of a further event, I decided that these events were so rewarding that I joined the Club. converted into a mobile home, was instrumental in the acquisition of my ’36 Cadillac. much mechanical and electrical work was evident, and generally been well maintained. bus which was towing a huge six wheeled trailer. Road Train - picking up the '36 Caddy. only chance of seeing a huge six wheel Caddie on an ever larger six wheel trailer. and Cadillacless. Seventeen years before I first drove my own Cadillac. Better late than never. 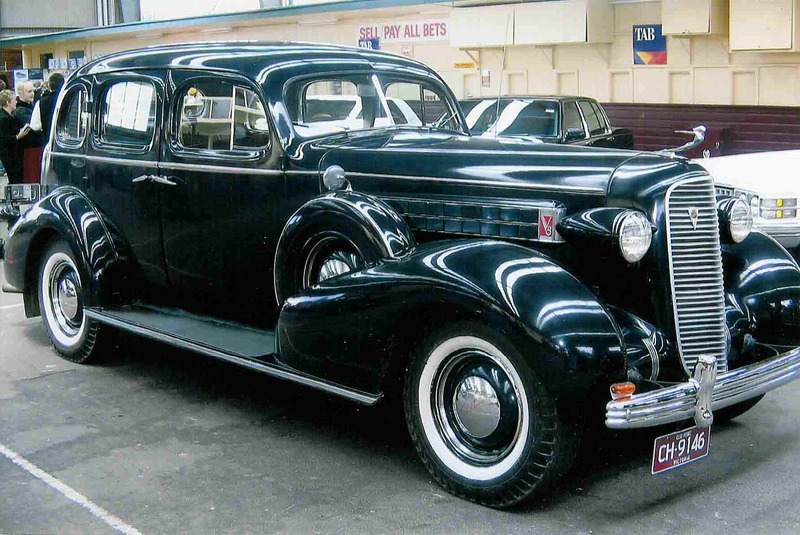 How does one describe the transition from my every day driver (’76 Kombi) to a ’36 Caddy? few other cars could out perform it. and satisfaction obviously gained from theirs. Monday morning and back to the Kombie. It felt like a matchbox. A light weight matchbox! Oh well our next event is coming soon. attending. I had offered the car to use in a friend’s wedding – whenever that may occur. Ford factory early, stop along the way to change clothes, and get to the wedding just in time. Not to be thwarted, Murphy sent along his partner in crime called Flannigan. distraction, we perused the approximate the hundred people who were lined up on the footpath. queue of people by now were pointing and clearly asking each other "What brand of car is that?" Flannigan now dealt his trump card. Cadillac may be very good but unfortunately not perfect. Fortunately, the bride was suitably late - we arrived in the nick of time. Footnote Any information on the history of this car would be appreciated.